Maryhill Museum of Art has a large permanent display of art made by Indigenous peoples of North America. It features a wide array of baskets, beadwork, carved wood and lithics, as well as other material. 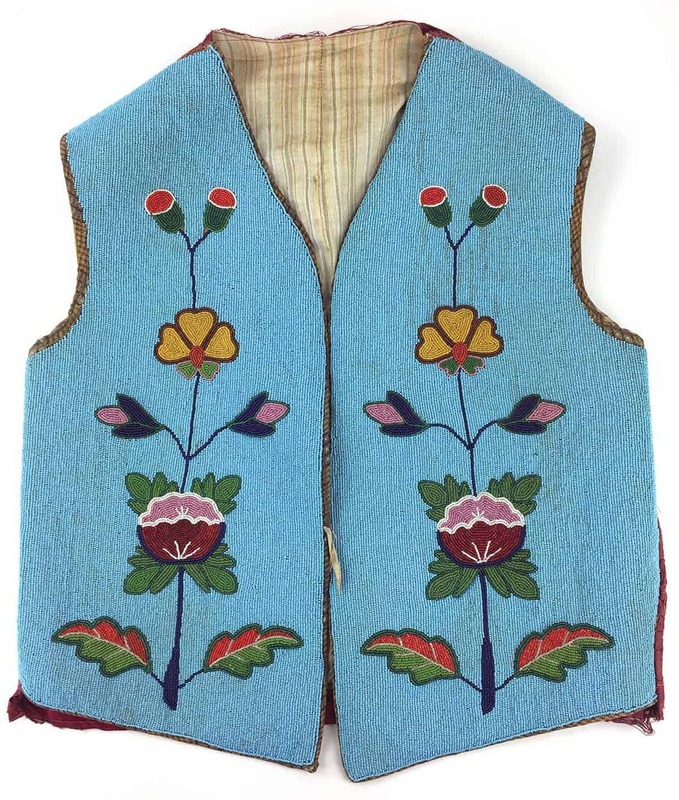 Indigenous art has been important to Maryhill Museum of Art’s mission since its inception and the collection includes more than 3,500 objects. Of this total, the largest portion is from the Columbia River Plateau region. Many of these are lithic (stone) items. 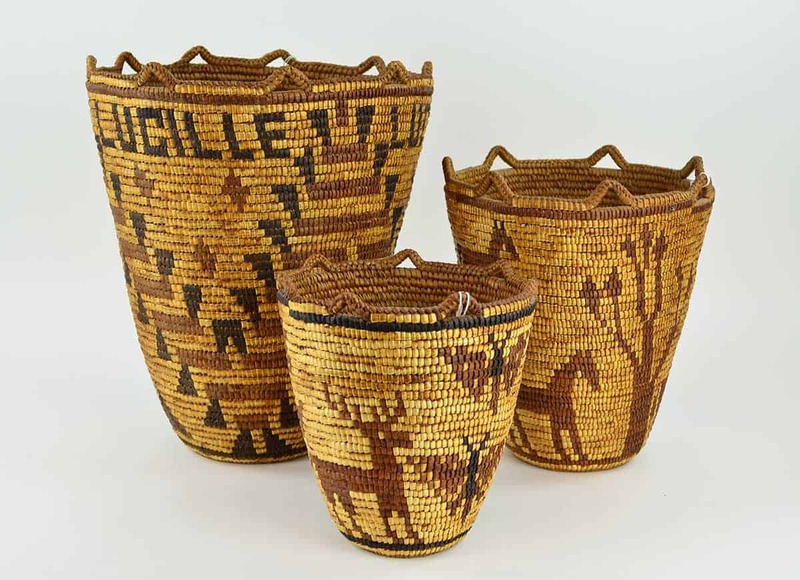 Beginning with Sam Hill’s own collection of Native-made baskets, the museum’s basketry holdings now total more than one thousand items. Another important collection is comprised of Arctic material that was acquired by Harvey T. Harding, who operated a store in Nome, Alaska, from 1899–1907. He kept a careful record of the objects that he collected and many of the 175 objects that were given to Maryhill Museum of Art by his heirs are identified by their place and date of collection. 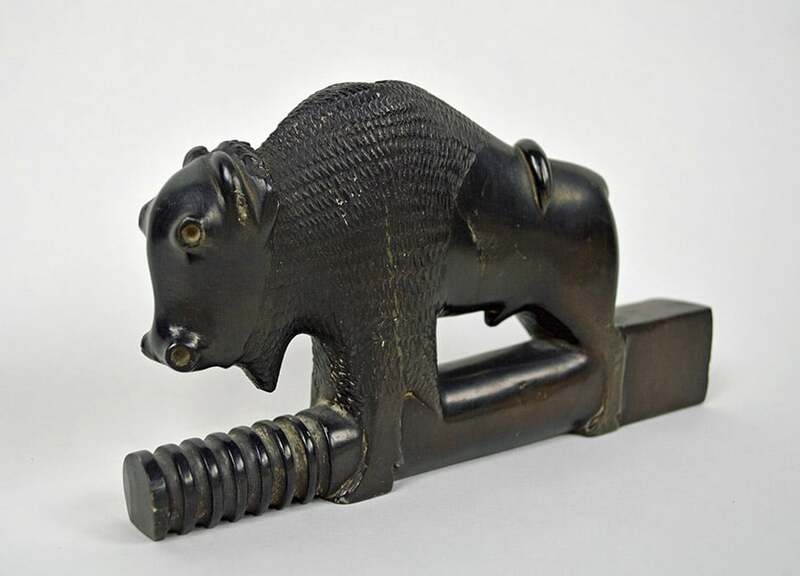 Noteworthy items from other Indigenous communities include two large and superb Western Apache basketry ollas, a Cheyenne carved catlinite pipe bowl in the shape of a buffalo, numerous baskets from California, and a small collection of contemporary Hopi katsina tihu (kachina dolls).